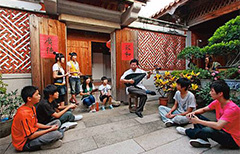 A meeting held on 22 and 23 October 2018 at UNESCO Headquarters in Paris will kick start the project ‘Community based inventorying of intangible cultural heritage in urban contexts’. 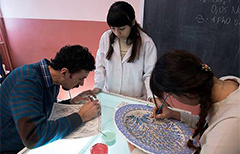 From 29 October to 7 November, 2018 the Intangible Cultural Heritage Section and UNESCO-UNEVOC will co-host a virtual conference on ‘Integrating the safeguarding of intangible cultural heritage (ICH) in technical and vocational education and training (TVET)’. On 17 to 20 September, 25 facilitators from Europe gathered in Sofia, Bulgaria, for a training of trainers’ workshop on supporting policy development in the field of intangible cultural heritage. 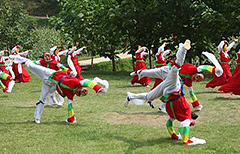 The Training Workshop on Community-Based Inventorying of Intangible Cultural Heritage and Elaborating Nomination Files under the Mechanisms of the 2003 UNESCO Convention will be held from 26 September to 3 October 2018 in Pyongyang, DPRK. 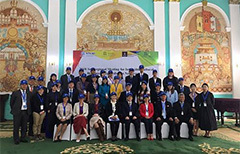 A sub-regional meeting for ICH safeguarding in Northeast Asia was held in Ulaanbaatar, Mongolia from 28 to 29 August 2018 on ‘ICH in Education: Towards Joint Collaboration for Promoting ICH in Formal and Non-Formal Education’. Burkina Faso concluded a nationwide initiative aiming to inventory and promote its intangible cultural heritage, thanks to a financial assistance of US$262,000 from the Intangible Cultural Heritage Fund. 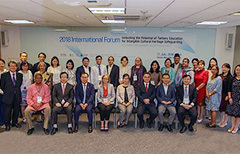 On 17 July 2018, an international forum on ‘Unlocking the potential of tertiary education for ICH safeguarding’ was held in Seoul, Republic of Korea. More than 80 people gathered for the forum, where universities from the Asia-Pacific region discussed two key themes. 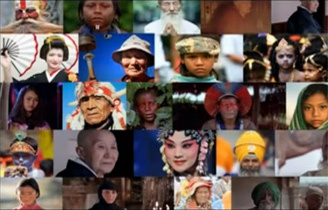 The thirteenth session of the Intergovernmental Committee for the Safeguarding of the Intangible Cultural Heritage will take place from 26 November to 1 December 2018 at the Swami Vivekananda International Convention Centre (SVICC) in Port Louis, Republic of Mauritius.